The NEW EXPLORER BGAN satellite terminal is a global Satellite WiFi Hotspot with high speed data and voice capability. What makes this new device different from other solutions is integration with your smartphone. The "Explorer Control App" gives you total control of the system, it displays signal strength, overall usage in Megabytes, it allows you to send or receive texts (including using your iMessage or other texting program), and it converts your smartphone into a sat phone to place or receive phone calls from anywhere, to anywhere in the world. This New Explorer BGAN terminal is the most portable high speed satellite data and voice solution on the planet (weighs less than 3lbs) at a surprisingly low cost. When cellular or 3G services are not available, this device works when nothing else does. As a standard WiFi hotspot, use the Explorer BGAN as you would any Internet connection with your laptop, tablet or smartphone. It's able to connect with up to 11 devices simultaneously without any configuration changes. It has a wireless range of 300 feet, so the terminal can be outside, while being connected wirelessly inside. And with global coverage, no matter where you travel, you will be able to get online, send and receive text messages and voice calls. Explorer Connect - for iPhones and Android Devices. Use your smartphone and tablets to connect, monitor and manage your satellite terminal. This device enables you to convert your smartphone into a satellite phone by simply downloading the iPhone or Android app (free). Simultaneously make calls while browsing the web. - Connects with up to 11 devices simultaneously. - Simultaneous High Speed Data and Voice Capability. - Web interface for connectivity options, usage logs, call logs, many hidden features! 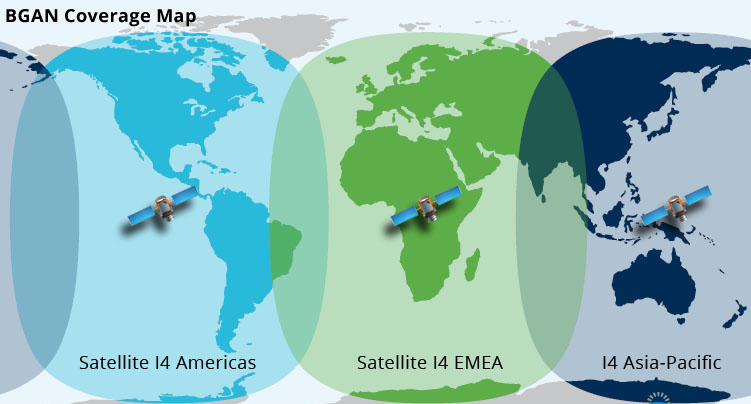 How Affordable is Mobile Satellite Internet?